We continually strive to be your one-stop health facility for all your health needs! Do you own a business that employs drivers needing DOT physicals? Do you work for the Colorado DOT system and need a DOT physical for pre-employment, post-accident or random testing purposes? Our Doctors can perform a comprehensive physical and drug test in less than 30 minutes. Hatch Chiropractic is one of the most cost effective and time efficient practices in Parker/Lone Tree/Aurora/Castle Rock! 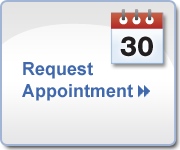 You can call our office at 303-841-7121 or click on the link below to schedule your appointment today. Who Can Perform a DOT Physical? A Department of Transportation (DOT) physical exam is conducted by a licensed “medical examiner.” This includes doctors of medicine (MD), doctors of osteopathy (DO), physician assistants (PA), advanced practice nurses (APN), and Doctors of Chiropractic (DC)!!!!! -General Physical Examination of the mouth/throat, lungs, heart/pulse, abdomen/hernias, spine/muscular system, and neurological exam. How Long is my Physical Good For? A DOT physical exam is valid for up to 24 months. The medical examiner (your chiropractor, in this case) may also issue a DOT Physical Certificate for less than 24 months when it is desirable to monitor a condition, such as high blood pressure. If the doctor finds that the person he/she examined is physically qualified to drive a commercial motor vehicle (CMV), the doctor will furnish one copy of the results to the person who was examined and complete a Medical Examiner’s Certificate (page 9 of the Medical Examination Report). If a driver wishes the Certificate to be in card form, he/she may: Purchase a separate “medical card” from an industry supplier of motor carrier forms (e.g., State trucking association) before the physical exam and ask the medical examiner to complete and sign it, in addition to the Medical Examination Report form; or print the Certificate on cardstock paper. It is permissible to reduce the size of the Certificate.